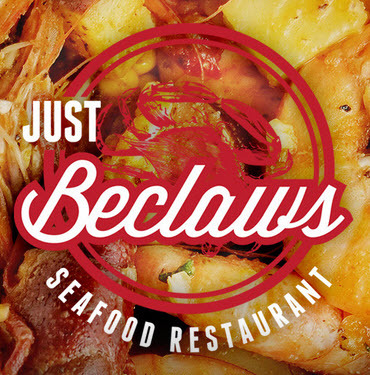 Just Beclaws, the local eatery located downtown at 280 First Street, serves up delicious Vietnamese Cajun seafood. The restaurant is owned by brothers Namibinh and Francis Tran. It’s walkable from the Grove Street PATH station. The unique dining spot seats 50 and boasts a nautical-inspired interior. The construction of the restaurant was completed by their father, Francis (Frank) Sr., who owns T & Son Construction after running his own downtown restaurant for 20 years. Come for the seafood, stay for the BYOB “boat-bar”! 280 1st St., nr. Jersey Ave., Jersey City, N.J.; 201-459-9100. From $12 per pound. At this dedicated boil joint owned by Vietnamese brothers, you can see the Asian influence on the mostly Cajun-style menu in options like adding noodles to your bag of mussels. Try the littleneck clams in the house sauce (with lemon pepper, Cajun seasoning, butter, and clove after clove’s worth of sautéed garlic). Lots of the boils around town are pretty spicy, but Just Beclaws offers several milder sauces like a simple lemon pepper. Also: There’s a trough sink designated for post-pick cleaning, and the restaurant’s currently BYOB. Check out their MENU and get crackin’!